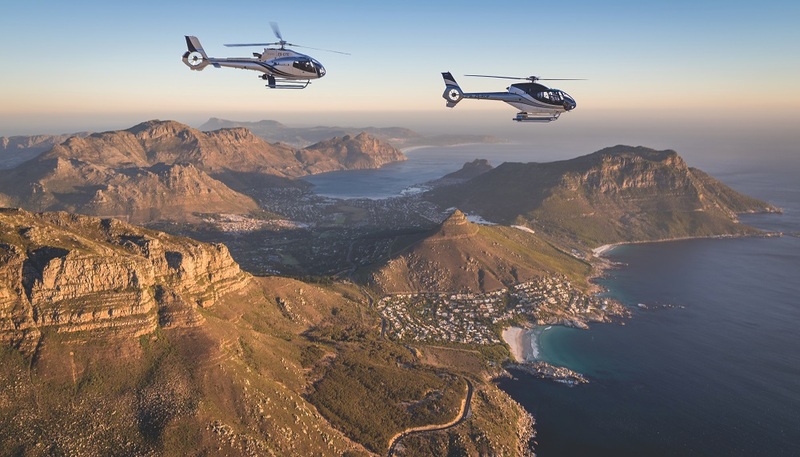 Cape Town’s top-rated helicopter company offers an unforgettable aerial tour of the Mother City which includes an in-flight video recording. Fly from the dazzling V&A Waterfront Helipad and along the mesmerising Atlantic Coast for the trip of a lifetime. Experience the view from above of the stunning beaches of Clifton and Camps Bay, and stare in awe at the Twelve Apostles mountain range, a prominent landmark which forms the spine of the Cape Peninsula. Take in the rugged coastline as you glimpse False Bay before circling Karbonkelgerb by Hout Bay before heading back along the same enchanting route. With an approximate flight time of 12-15 minutes, guests are guaranteed to experience the splendour of the Cape Town coast in a way that is simply impossible from the ground. Please arrive 15 minutes before your take-off time at the Heliport in the V&A Waterfront. All flights are non-exclusive. Guests are asked to arrive 15 minutes before take-off. Helicopters are space limited and Cape Town Helicopters reserves the right to restrict luggage or parcels on board. Maximum weight restrictions may be in place, and are subject to the pilot’s discretion. Clients will be charged an additional fee if they need to upgrade to a bigger helicopter due to weight limitation.